If you are a water baby, you’re going to love what you read next. It’s true. You can feel relaxed and rejuvenated with aqua-exercises and say goodbye to body pain and soreness! You might not know this but aqua yoga is a great way to cultivate balance and harmony in our body. Your body type and abilities do not matter here, all you will require is zest to put in a little effort. This alternative way assists in maintaining good posture, and avoids rusting of muscles and energy. 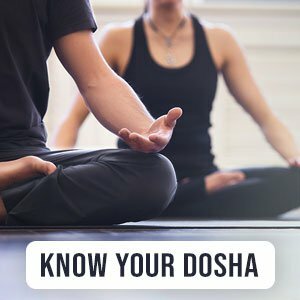 It is a powerful technique for you to feel more connected to your body! Are you wondering if floating in water will actually help your body relax? Thermal aquatic bodywork is an effective pain reliever and healer. These exercises lessen our sensitivity to pain. If you constantly feel tired and sluggish then chances are your energy is being consumed by your body in a wrong manner. Aqua yoga will help balance the chi (life forces) and thus, result in relaxed physical and mental abilities. Benefit: Helps reduce anxiety and stress. Benefit: Increases strength and spine support. What else needs to be kept in mind? While aqua yoga will help you strengthen your muscles and increase metabolism, you should not forget to take care of your skin. Swimming and performing water exercises makes our skin tender and cause tanning. To avoid skin tanning, make sure to apply a natural and chemical free sunscreen lotion or use an anti-tan oil. Relax your mind and body with grace and ease by floating in the water. Isn’t it just the easiest and most comfortable way to achieve inner peace? Aqua yoga consists of exciting poses that aids in supporting and toning our muscles. Splash away your pain, alleviate physical strength, and reduce mental anguish by performing these amazing, easy aqua yoga poses!